In this article, I will briefly summarize the history and shortcomings of posterior composites. I will then examine new techniques, materials and instruments that allow minimally traumatic tooth preparations and address the most serious flaws of traditional posterior composite restorations. Twenty-five years after their inception, posterior composites remain unpredictable. 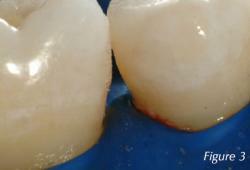 In comparison to amalgam restorations, Class I and Class II composites show significantly higher failure rates, are more costly, take longer to place, have more postoperative symptoms, leak, stain, chip, and cause food impaction. My former operative dentistry instructor (a legend in the Pacific Northwest) recently shared this opinion with me -- he "hates" posterior composites and hates to teach the technique. This sentiment shared at many dental schools across North America and therefore the posterior composite curriculum is limited. To understand how clinicians can be infuenced by a cultural and	scientifc icon, it is helpful to look at medical history. Claudius Galen was a Roman physician who boldly devised a medical model that doctors followed for fourteen centuries. Though his medical judgments were remarkably advanced for his day, today, not surprisingly, we know that most of Galen’s theories and treatments were completely wrong, and that the rest were seriously fawed. In a parallel to Galen’s example, G.V.Black was a consummate dentist/scientist and his exquisite designs for cavity preparation were a huge step forward for dentistry. Unfortunately, we are discovering today that those cavity shapes weaken the posterior dentition and lead to fracturing in even the most conservative applications (Fig. 1). In the previous articles, I have highlighted the widespread problem of amalgam tooth preparations that predispose the tooth to fracture. 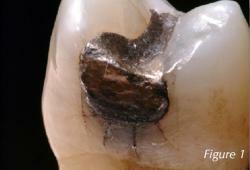 One of dentistry’s myths is that amalgam expansion causes tooth fracture. Expansion failures have never been proven. The fracture problem does not originate with amalgam, per se. It originates in iatrogenic GV Black cavity peparations. And just as many of us feared, we are seeing the same pattern of fracturing in teeth with posterior composites now that enough time has elapsed to assess their longevity. Dr. Richard Simonson is widely recognized as a pioneer in new cavity preparation shapes for minimally invasive, bonded, resin-based posterior composites. In spite of his innovations, the GV Black preparations that I was taught in school twenty years ago have been only slightly modifed for posterior composites in the typical dental practice and in most dental schools. Unlike amalgam and gold foil techniques, “packing composite into a hole” is not a predictable method. Excellent clinicians have been dealt an unfair hand when it comes to Class II composites. 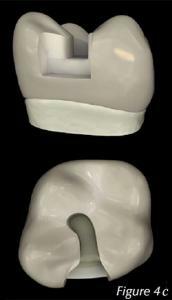 Most of the features of the traditional cavity preparations such as parallel walls, resistance and retention form work against posterior composites. What we have observed at CRA and under the microscope is that polymerization shrinkage cannot be eliminated, only mitigated. The best margin is no margin, and when composite extends slightly past the cavo-surface margin, it is generally well sealed with no white line. When we polish back to the margin, the white line often appears. 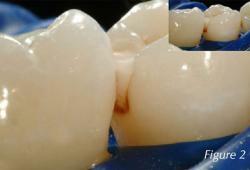 "Composite sealing" with thin resins applied after filling the cavity may reduce wear. However, trying to seal an imperfect margin after the fact is futile. As I have explored these white lines, they generally extend completely to the pulpal floor, far beyond the reach of a sealer. C-factor has been oversimplifed and remains a signifcant problem. 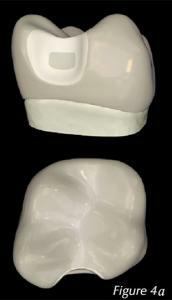 Posterior composites should go “on” not “in” the tooth. 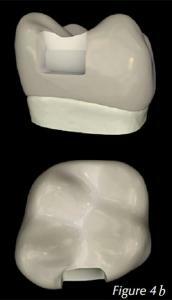 Minimally Traumatic dentistry should be considered as an upgrade of “Minimally Invasive” dentistry. For example, the tunnel-style Class II preparation preserves the enamel of the marginal ridge but unnecessarily weakens the tooth and impedes clinical visualization. Incomplete caries removal, combined with excessive tooth weakening, are unacceptable casualties of the noble mission to save marginal ridge enamel. The goal of first-time interproximal caries restoration is to avoid connecting the occlusal to the interproximal, which is a concept that Simonson first advocated. The next evolution of this design is the saucer shape with serpentine/ disappearing margins. The final change is discarding and replacing old filling techniques, matrixing systems and curing techniques.